One service @10:00 am – Led by the Rev. 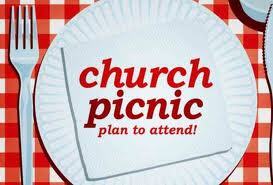 Melissa Carvill-Ziemer, Director of Religious Education Karen Lapidus and Worship Associate Bonnie Harper — Our annual outdoor worship service and picnic will be at Plum Creek Park in Kent (which is at the intersection of Cherry Street and Mogadore Road). We will be meeting at Pavilion #2 for one service only at 10:00 am. Our service will be fully multigenerational; the whole community is invited to worship and play together. Please bring a lawn chair (and maybe an extra to share), a dish to share at the picnic following the service, your own place setting, any games you would like to play during the picnic and anything else you will need to be comfortable. And remember, we will have one service only beginning at 10:00 am!